It feels odd to actually be so close to a new Bioware release, as I remember literally counting down days and seeding the ground with my college professors to fake sick in the days leading up to Mass Effect 2's release. Before we get Anthem next month, though, we'll have a demo to play through so players can get a feeling for the multiplayer game before release. The demo you play will be a little different from the final game, though. 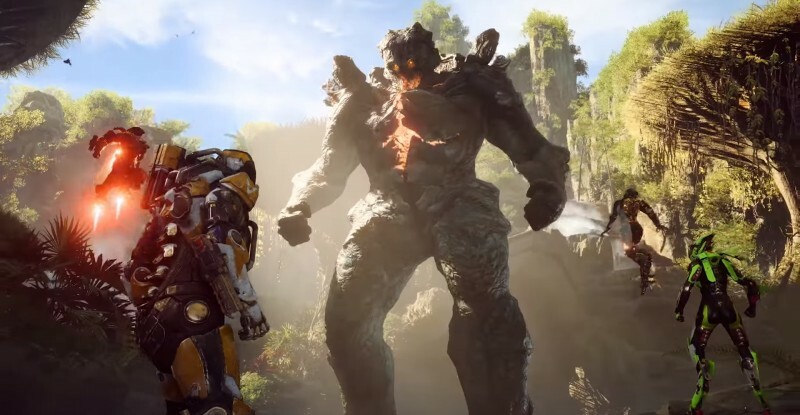 In a series of tweets, Anthem producer Mark Darrah talked a bit about how you can expect the demo to not just be the first few hours of the game. In later tweets, Darrah says the PC controls will be less nuanced, there will only be one story arc, some things have been renamed for the final release, the mission/stronghold/free play balance will be off a bit, and outright says that the demo is easier than the final release. The demo's contents were locked weeks ago and Bioware has not been sitting on its laurels in the meantime, continuing to work on and tinker with the game, which means things like these get changed. If you pre-ordered the game or you're subscribed to EA Access, you can play the demo in a few days on January 25 through January 27. For everyone else, you can access it on February 1 through February 3, just be aware that neither demo is 100 percent identical to the final game.